Was the Car Show cool or what? 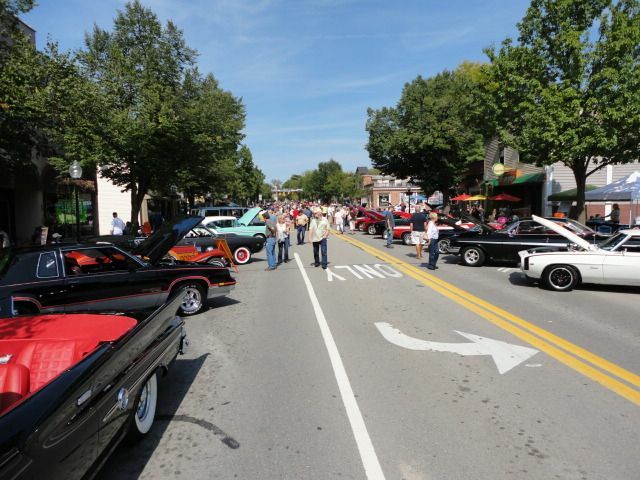 The Milford Car show this past weekend was maxed out, in terms of cars. 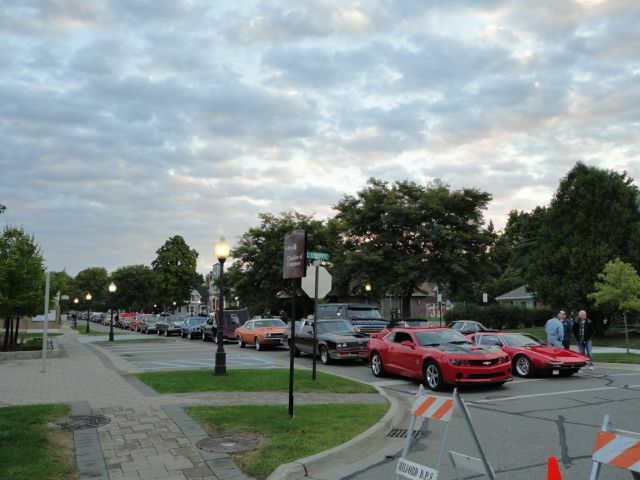 Over 300 cars showed up and stretched from one end of Main St to the other – from Commerce Rd on the north end to GM Rd at the south end, with some cars parked in Central Park as well. Cars started showing up as early as 6:30 am, with quite a line by the 8 am registration time. The picture to the right was taken at 6:45 by Rich Harrison. The show was organized by Keith Wilson (on the left in the picture to the left) and his wife, with some early volunteer help from Rich Harrison (on the right in the picture) with the registration process. Cars of all types showed up, from original historic cars to radical street rods. Cars lined up on both sides of Main Street and the lineup stretched for about 6-7 blocks. The actual show ran from 11 am until 3 pm, with awards for best cars in various classes and sponsors’ awards taking place at 3 pm. 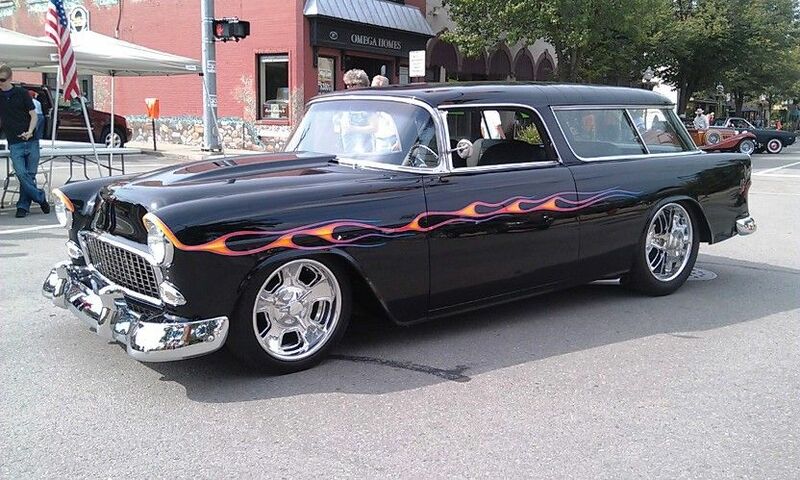 The Sponsors Choice winning car that will appear on next year’s T-Shirt was this wonderful 1955 Chevy Nomad street rod. 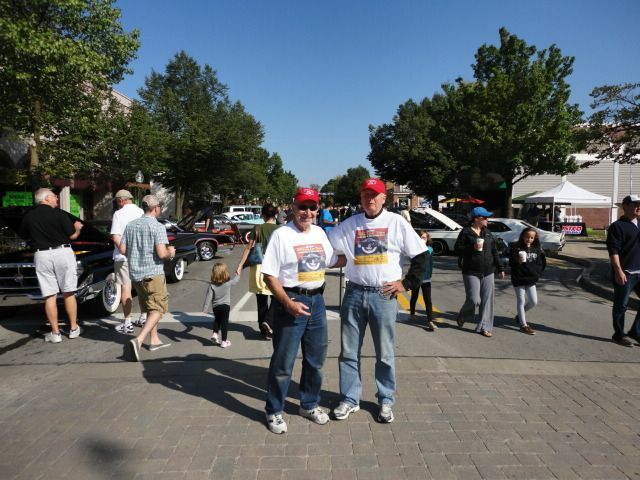 Keith has already started planning for an even bigger and better Car Show next September, so watch the Web site – www.milfordcarshow.com for details on that. Here’s a picture of how the street looked at noon, during the show. The street pictures here are all courtesy of Rich Harrison. Keith Wilson provided the picture of next year’s T-shirt car. Thanks to Keith and Rich for the visuals. This entry was posted on Wednesday, September 19th, 2012 at 2:23 pm and is filed under About Milford Michigan. You can follow any responses to this entry through the RSS 2.0 feed. You can leave a response, or trackback from your own site.